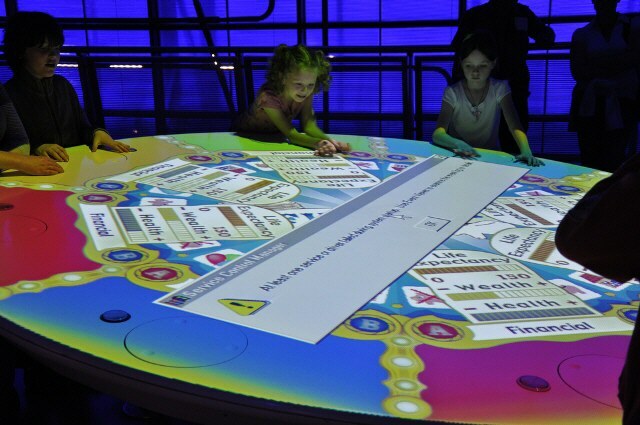 "I visited the Science Museum of London this week-end and saw this," Samuel Alba writes. "Someone must have imported the sizing chart from an overeager Excel worksheet," writes Justin N.. "My girlfriend always considered herself a size 'May'." 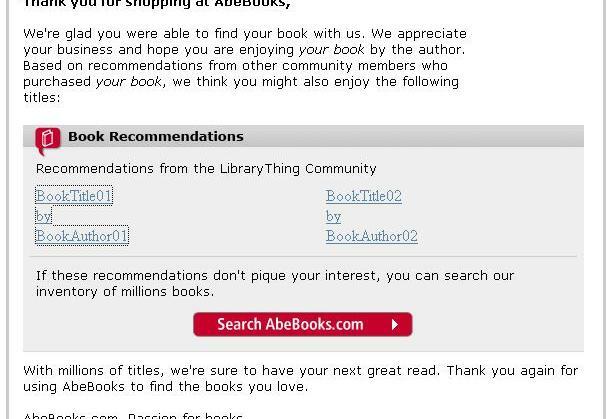 "The AbeBooks book recommendation program seems to have escaped into the wild just a *little* too early," Steve Taylor writes. 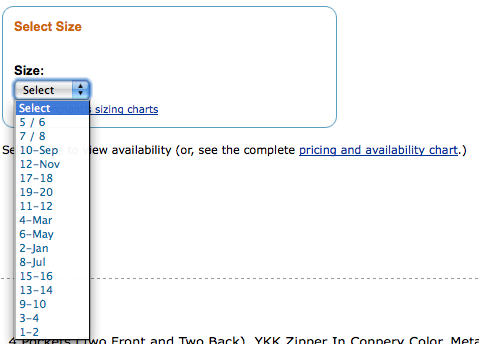 "Though 'BookAuthor01' has always been one of my favorite writers." 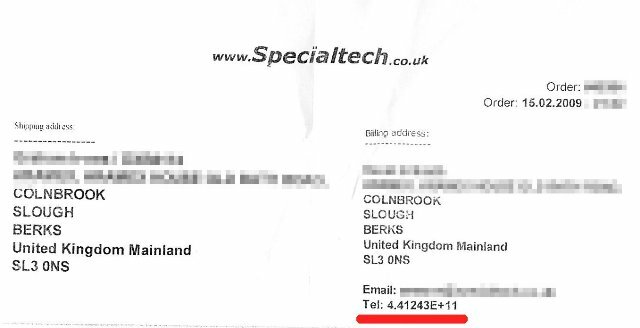 Graham wrote, "at Specialtech they understandably prefer phone numbers in scientific notation." 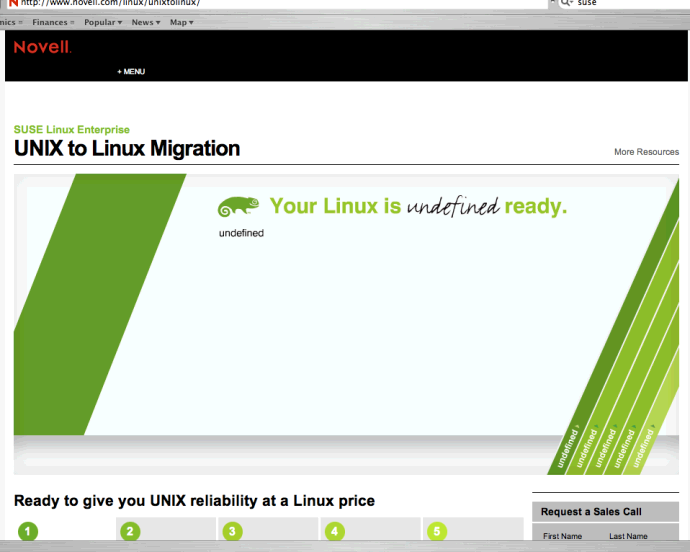 "I was looking to see how capable the Unix-to-Linux Migration is with Suse Linux," Anoop said, "I'm happy to report that it's undefined."